When 36-year-old Dathan Ritzenhein steps to the starting line in Hopkinton for the 123rd Boston Marathon a week from today, nearly four years will have passed since the last time he finished a marathon. He is well aware of this fact. “Thanks for reminding me,” Ritzenhein says when I bring this up in our phone interview last week. This is a problem, because Ritzenhein is a marathoner. And it’s hard to be a good marathoner when you don’t finish marathons. 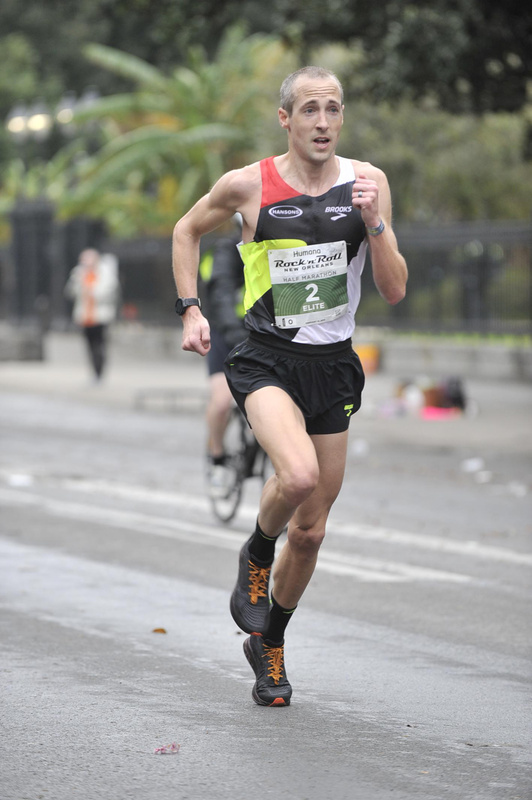 Since his last marathon result — 2:11:20 for 7th in Boston on April 20, 2015 — he’s dropped out of the 2016 Olympic Trials with cramps, dropped out of the 2016 New York City Marathon with what was later revealed to be a torn plantar fascia, and, last year, withdrew from the Boston Marathon just five days before the race due to a sacroiliac (SI) joint injury. It has been a rough four years for Ritz. 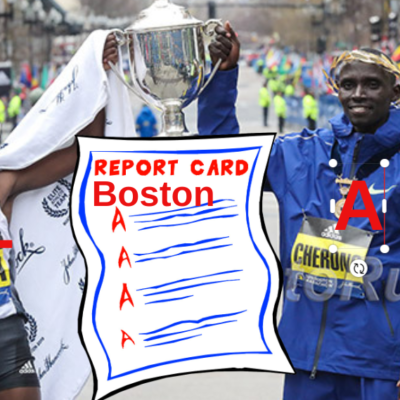 He is hoping to put that quadrennium of struggle behind him next week in Boston. But he has been running this distance for too long — he debuted with an 11th-place finish in New York in 2006 — to be certain of anything, even this close to race day. He’s fit, and he’s healthy, but if that were all that were required to succeed in the marathon, it would not be the most grueling event in elite distance running. Few Americans can claim a résumé as impressive as Ritz’s, whose accomplishments include three Olympic teams, PRs of 12:56 (the American 5,000-meter record when he ran it back in 2009), 27:22, 60:00, and 2:07:47 and two global medals (bronze at World Junior XC in 2001 and at the IAAF World Half in 2009). The other two members of the Big Three — the fabled high school class of 2001 that included Ritz, Ryan Hall, and Alan Webb — both retired years ago. Ritz is married with two kids, and has a growing coaching client base. He doesn’t need to be doing this; why continue to grind at an event that doesn’t love you back? Well for one thing, Dathan Ritzenhein is still quite good at running. The half marathon has always been his best distance, and his performances over 13.1 miles have remained strong in recent years. In 2016, he ran 60:12 at the Great North Run; last year, he finished second at the NYC Half; most recently, on February 10, he ran 61:24 to win the Rock ‘n’ Roll New Orleans Half Marathon. Perhaps equally as important, Ritzenhein believes he still has the ability to run a great marathon and is still motivated by the dream of winning a major (and making a fourth Olympic team). But Ritzenhein also believes that unlocking that potential required a change. That’s what led to The Experiment. 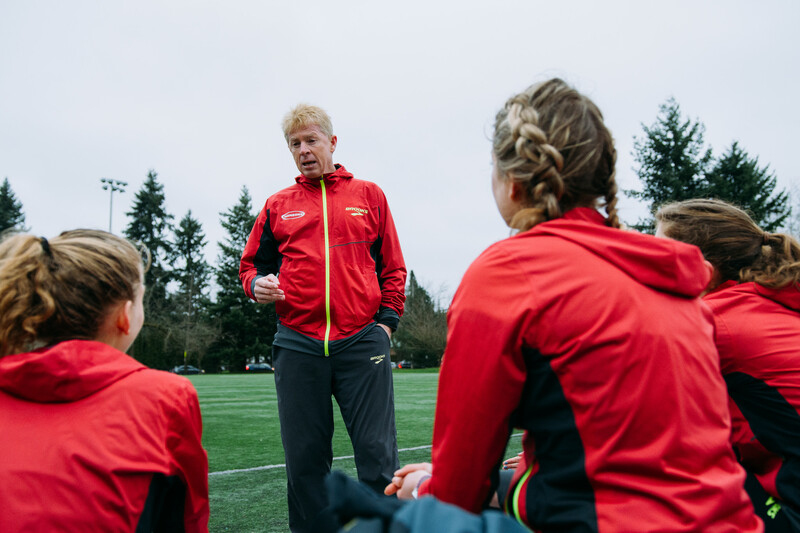 Kevin Hanson has been coaching marathoners professionally for 20 years, but he’s never done anything quite like this: Dathan Ritzenhein will run the 2019 Boston Marathon after employing what is, essentially, an eight-week marathon buildup. For Hanson, Ritzenhein’s coach with the Hansons-Brooks Distance Project, this marks a major departure. Hanson has a system in place for his marathoners, and that system is rigid. But for Ritzenhein, he has made an exception. It’s a plan he and Ritzenhein hatched after evaluating what had gone wrong in Ritzenhein’s previous buildups — why he wasn’t able to make it to the finish line at 2016 New York or the start line in Boston last year. And above all, they noticed one thing was absent: restraint. Ritzenhein is like a prized thoroughbred: all he wants to do is run. But without a jockey, he is liable to run himself into the ground. That’s what happened during his buildup for 2016 New York. He got excited by how fast he ran at the Great North Run, kept pushing the envelope, and eventually his plantar fascia gave out, MRIs showing a tear that caused him to drop out of NYC at 19 miles. “I just can’t hold myself back,” Ritzenhein says. Ritzenhein took a step toward addressing that problem by joining the Hansons in July 2017, but fell victim to the same issue in his first buildup with them prior to Boston last year. Hanson was the jockey, but he’d never had a stallion like Ritzenhein to work with. Like Ritzenhein, he grew excited by what he saw, and rather than reining him in, he allowed him to keep pushing. Hanson says that he and Ritzenhein were equally at fault for getting too aggressive, which may have prompted the SI joint injury that ultimately forced Ritzenhein to withdraw from the race. So step one in designing Ritzenhein’s 2019 Boston buildup was to remain cautious. It’s okay to get excited, but a good workout should not be an excuse to up the intensity and deviate from the plan. “Instead of me jumping up and down and patting him on the back, I have written in my notes: don’t get ahead of yourself, that means the next three days have to be X [in order to recover],” Hanson says. Step two was to shorten the buildup itself; Ritzenhein and Hanson were willing to trade some fitness if it gave Ritz a better chance of getting to the start line in one piece. They chose to run New Orleans for a reason. Houston, on January 20, was too early; they didn’t want to run it and have Ritzenhein sit on his hands for a month before launching into the buildup. 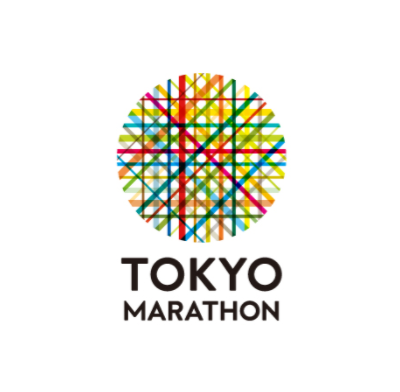 And unlike last year, they did not want to run a half marathon like NYC (March 17) once the buildup had begun in earnest. 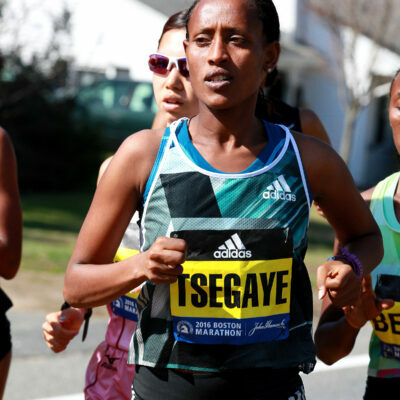 Some marathoners treat races during a buildup as a chance to lock in on marathon pace. That’s not the way Ritzenhein operates — if he’s racing, he’s racing. Since Ritzenhein didn’t trust himself to hold back in a race, he figured it was best to just not schedule one during his buildup this time around. Thus, they chose to race in New Orleans on February 10 — just over nine weeks from Marathon Monday — where Ritzenhein surprised himself by running 61:24 to win. The next two weeks were mostly down weeks for Ritzenhein’s body to recover from the hard effort and prepare for the hard (albeit shorter than usual) grind of marathon-specific training, which began with just under eight weeks until Boston. For most athletes, that’s not enough time to get seriously fit for a marathon, but Ritzenhein is not like most athletes (it helps that he was already fit heading into the segment, as shown by his run in New Orleans). “I’ve never seen somebody able to get as fit as quickly as Dathan,” Hanson says. It bears repeating that this is an experiment — Ritzenhein and Hanson don’t know for sure that it will work, and they aren’t going to render any verdicts until after race day. But so far, they’re cautiously optimistic. Splitting his time between Grand Rapids, Mich., and the Hansons’ warm-weather training camp in Central Florida, Ritzenhein did miss one day of running due to a hamstring issue a few weeks ago, but looking back over his logs — as he does before every marathon — he sees a “really good” last five months. Most of his training this buildup has been a toned-down version of what he’s done in years past — his weekly mileage is lower, he takes more days off, his hard days aren’t quite as fast (Ritzenhein shared a detailed look at one week of his Boston buildup with Competitor in February). But he’s been happy with his long runs and his overall fitness with less than two weeks ago. One of Hanson’s concerns with The Experiment was that Ritzenhein might head to Boston wishing he had done more in his buildup. Ritzenhein admits that he still has those urges — “you always feel a sense of urgency — I need more, I need more” — but he’s been able to resist them, his mind overriding his heart. Ritzenhein, whose best finish at a major marathon is 5th (2013 Chicago), still has his eyes set on breaking the tape on Boylston Street. 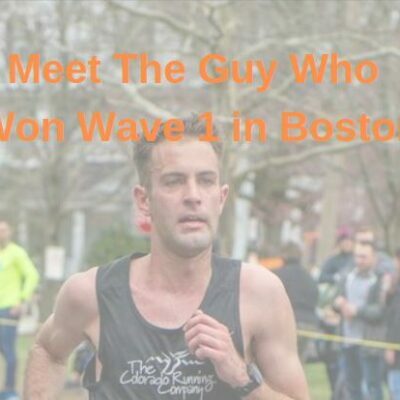 But even reprising his top American finish from four years ago won’t be easy in a field that contains Jared Ward (6th in New York last fall), Scott Fauble (7th New York), and his Hansons teammate Shadrack Biwott (4th and 3rd in Boston the last two years). More than anything, Ritzenhein just can’t wait to get a chance to race a marathon again. “I don’t what success on the day of is, but I’m just excited for the gun going off,” Ritzenhein says. It is perhaps premature to look beyond Boston — especially for a guy who hasn’t finished a marathon in four years — but the Olympic Trials beckon just 10 months from now. At the moment, no one is quite sure how USATF will select its team, but Ritzenhein has an opinion. Yes, that means that Ritzenhein is okay with USATF taking the top three finishers with the standard — even if they’re not the first three runners across the line. 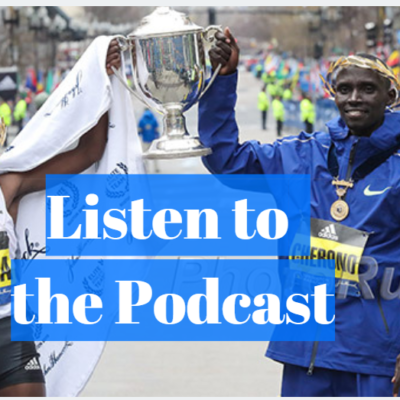 He says that US marathoners have “ample time” to hit the Olympic standard (2:11:30 or top 10 in a World Marathon Major or top 5 in an IAAF Gold Label Marathon) and that the most important thing is everyone on the start line of the Trials knows exactly what they need to do to make the team. Ritzenhein would know. In 2004, he was one of only a few Americans with the Olympic standard in the 10,000 and got to go to Athens despite finishing last at the Trials. Eight years later, he did not have the Olympic 10,000 standard heading into the Trials, but thanks to an assist from then-Nike Oregon Project teammate Galen Rupp, he was able to get it at the Trials and book his ticket to London. 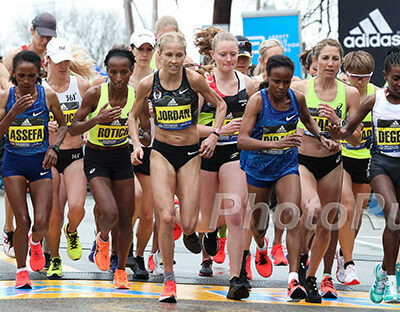 “If it’s clear-cut and it’s fair and you know what to do, it’s okay,” Ritzenhein said. Hanson does not share the same opinion. “I think what is best for the athletes is for the top three at the Trials to be the Olympic team,” Hanson says. And while Hanson says it’s frustrating that there is still no clarification on USATF’s selection policy, he isn’t throwing USATF under the bus. Indeed USATF has said that it plans to appeal to the IAAF to make the Trials a Gold Label Marathon and/or lessen the Olympic standard. Until there is a definitive policy in place, Hanson is reserving judgment. But right now, his — and Ritzenhein’s — focus is Boston. The hypothesis has been formulated. Now it’s time for The Experiment to get some results. Talk about this article on our fan forum / messagebaord. MB: At age 36, Ritz wants to win the Boston Marathon next Monday.